1. 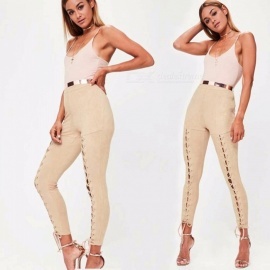 Eyelet straps with pencil pants. 3. Tie a bow decoration.